Now that the Parent Teacher Conference is upon us, thought I should share this amazing tool to stay in touch with parents. 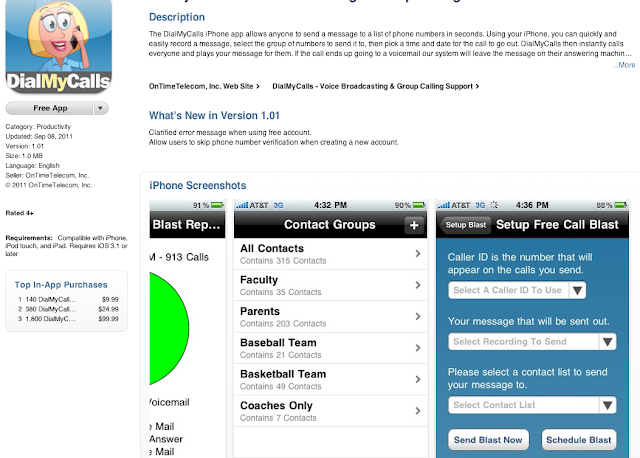 Instead of spending hours and hours on the phone with parents, I use this website called Dialmycalls to just click the students that are absent in my class. The website was fantastic and it just improved with the new iPhone App (and Android too). I will now be able to to call all of my 200 parents with one click from my phone. Parents will hear my voice letting them know that their child was absent or doing well in my class. I have the flexibility of choosing what time parents receive this phone call from me. I cannot stress the important of positive outreach when it comes to parental involvement though. There are times when I will be sending out automated phone calls praising their child for doing homework or to encourage them to continue doing so. The power of positive work should never be underestimated. I know we have a uniform policy at our school and this could be a great tool to encourage uniform compliance. 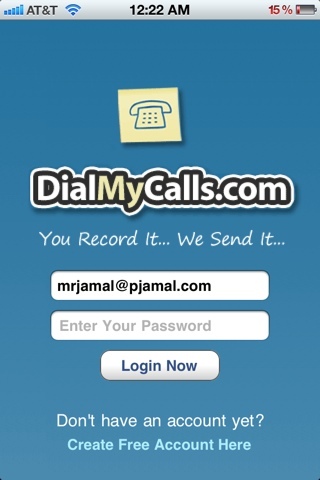 I especially like the fact that I can purchase more credits for Dialmycalls through the App Store. This means, I have a great use for those iTunes Gift Cards, which I tend to save up from Credit Card rewards anyway. Teacher life is all about being efficient with time. Spend your time making amazing lessons rather than spending hours contacting parents on the phone. Parents should be on Jupitergrades anyway, receiving automated emails to keep track of their child. 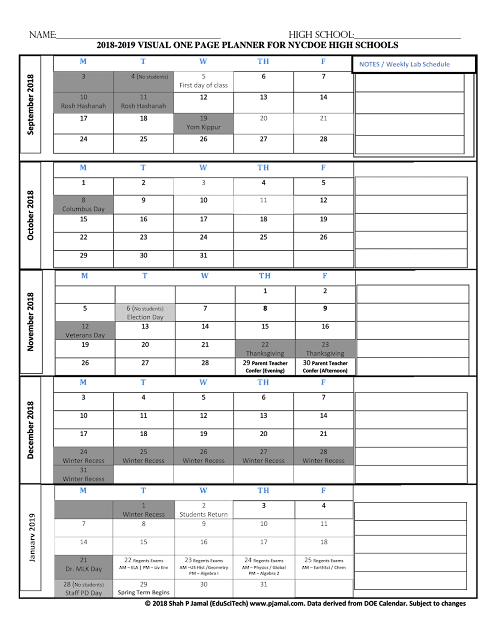 Dialmycalls is a great tool to pass the information out to those parents who have yet to sign up for Jupitergrades or any of those online based grade book.